Mackay is one of those places that grows on you. At first you might not even be aware of its existence, but once you’ve had a taste of that sweet, laid back lifestyle you’ll start to ‘get it’. 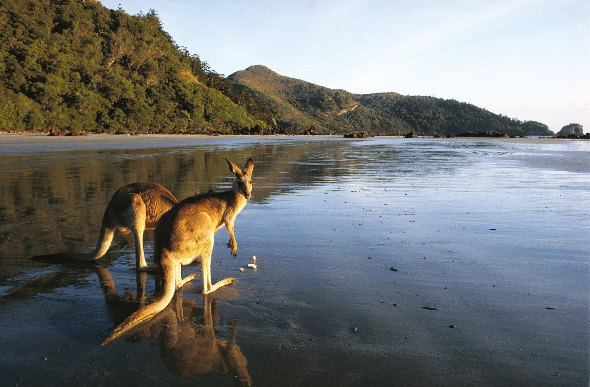 Mackay promises plenty of natural highs, from rock-hopping around secluded gorges to waking at sunrise and unzipping your tent to find a mob of wallabies bounding along the beach. Get acquainted with Central Queensland in this big country town, where the days can be as fast-paced or peaceful as you like. Cape Hillsborough National Park is all kinds of awesome. 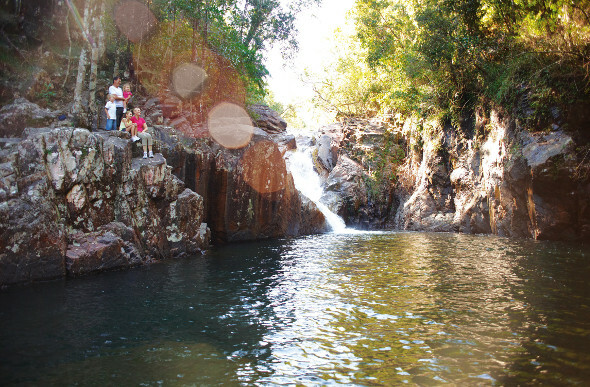 The area, located less than an hour’s drive from Mackay, is perfect for picnics, bushwalks and close encounters with some friendly, furry locals. Aside from playful wallabies hopping along the beach in search of washed-up ocean treats, rainforest-clad hills tumbling into the Great Barrier Reef and the 0.7-miles Yuibera coastal trail will hold your attention. Did you know Mackay is the best place in the world to spot a platypus? And the place to do it is Pioneer Valley & Eungella National Park, 56 miles west of Mackay. The area is laced with walking tracks through lush rainforest, past secluded swimming holes – aka prime platypus territory. If you’re keen on spotting the shy little mammals for yourself, your chances are best around sunrise and sunset. 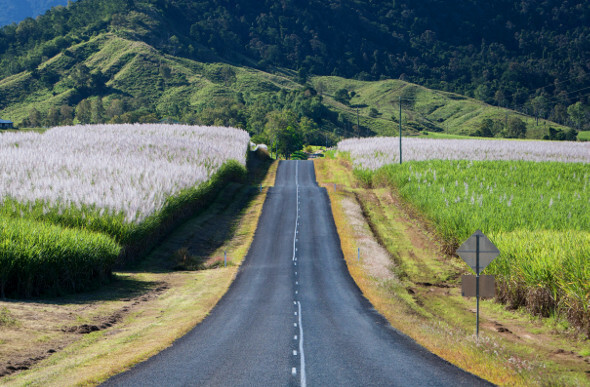 The self-drive Mining Trail route spans some 186 miles between Clermont and Mackay. In Queensland terms, this is nothing. People travel this far to go to ‘the shops’ and don’t even blink an eye. The trail follows the passage of coal that comes from the Bowen Basin to its place of export. Ghostly gold rush towns, highland plains and cattle stations line the route, which ticks off the townships of Clermont, Moranbah, Dysart, Nebo, Hay Point and Sarina. If you’re somewhat of an intrepid traveller with your own vessel, consider sailing away to Newry Island, three miles off the coast of north Mackay. Once ashore, you can explore the remnants of resorts that once graced the island. While they were among the earliest resorts in the greater Whitsunday area, only crumbling ruins remain. Creepy, right? The somewhat abandoned Newry Island is an experience for those who love getting off the beaten track, where open woodlands merge with dense forest, traced by the clear waters of the reef. Touted as the Great Barrier Reef’s ‘best-kept secret’, Keswick Island is a little slice of paradise where you can spend some down time swimming through caves, diving shipwrecks, beachcombing the secluded bays and even taking yoga classes right on the sand. 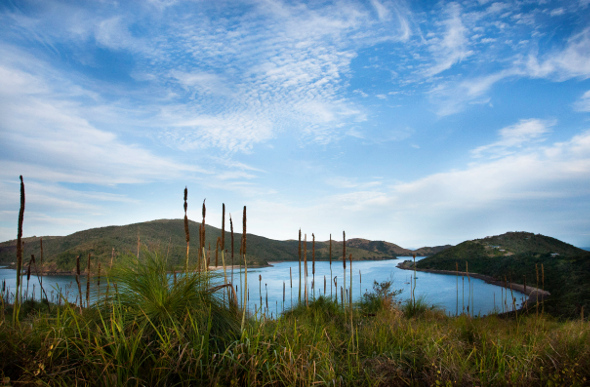 Keswick Island is accessible by boat or plane, 20 miles off the coast of Mackay, and technically belongs to the southern Whitsundays. That’s right – you can have a Whitsundays holiday in Mackay. Accommodation on the island is limited, awarding you a sense of seclusion that’s hard to come by. Mackay’s country charms shine through at the Deja Vu Experience Tea Room. Two lovely ladies run the show, putting on light lunches and traditional Devonshire tea at their quaint tea shop on Sydney Street in the heart of town. A three-tier cake stand loaded with ribbon sandwiches, quiche, scones with jam and cream, mini tarts and cakes served with a beautiful selection of teas will set you back less than AU$30. Are you starting to understand Mackay’s appeal now? Tucked deep inside Eungella National Park, Finch Hatton Gorge is one spectacular slice of rainforest. ‘The Gorge’ is a popular spot for a dip under the fresh-water cascades, thanks to the waterfalls flowing year-round. A new eco-tourism initiative is drawing crowds to the Pioneer Valley area, encouraging visitors to channel their inner sugar glider. Forest Flying will send you soaring 25 metres above the forest floor, suspended in a harness, to see the National Park from a new perspective. There’s an ark of other animals on the farm, including donkeys, goats, pigs, miniature ponies and goats. Kids can get up close to cuddle and feed the critters, with workshops available if you’re curious about the work that goes into running an alpaca farm.